ALAMEDA — School board trustees Tuesday night showed “Love” for the word to become Henry Haight Elementary School’s new name. The move to rename the campus was triggered after more than 100 people signed a petition calling for a change after learning that Haight, a Civil War Reconstruction-era California governor and former city resident, espoused racist views. The board’s decision was unanimous. “Love” emerged as the top suggestion during two rounds of voting that involved students, teachers, staff, parents and those living or with businesses near the school at 2025 Santa Clara Ave. in Alameda. The action by Alameda Unified School District trustees came despite pushback from some staff at the school who thought Love was not an appropriate name, as well as from others who wanted the school to be named after Nielsen Tam, a longtime educator and district trustee who died in May 2015. “The only conclusion is that (the renaming process) was followed, and we need to support the outcome,” said Trustee Jennifer Williams, who noted “extensive efforts” for public outreach, such as on the district website. [cq comment=”anything specific?”] Thirty-one out of the about 40 staff members at Haight Elementary signed a Jan. 21 letter to Superintendent Sean McPhetridge that called the proposed name Love “cringe-inducing” and asked for the renaming process to be relaunched. They said some parents likely did not take part in the voting because of scheduling conflicts. Board President Mia Bonta said she supported renaming the campus Love because the word’s definition has educational value, citing Mahatma Gandhi, Malcolm X and Martin Luther King Jr. McPhetridge said he endorsed Love as the new name because he respected the process in which that name emerged as the most popular replacement. The question of renaming Haight was highlighted in district and school newsletters, and community meetings were held to gather feedback before Tuesday’s decision. Along with approving the name change for Haight, the board called for Tam to be memorialized in some way. “We must find a way to honor his work,” Williams said. “I hope my colleagues on this board will find a way to do so in the very near future.” Trustee Gary Lym said the effort to rename the school caused divisions and asked for the district’s renaming policy to get reviewed. But he said he still supported Love as the replacement. “I think everyone has good intentions here,” Lym said. The renaming effort began in December 2017 after research from activist Rasheed Shabazz found that Gov. Henry Huntly Haight made derogatory comments about blacks and Asians during his inaugural speech as 10th governor of California in December 1867. Haight, who was governor until 1871, wanted an end to Asian immigration into California and opposed allowing African Americans and Asian Americans the right to vote. Some 403 names were suggested as replacements for the campus. Along with Love and Tam, top contenders were Don Grant, an Encinal High School teacher and track coach who died in June 1995; and Ohlone, after the Native Americans who lived along the Northern California coast. Schools can be named after individuals who have made outstanding contributions to their communities, according to state law. Names with state, national or international significance or that reflect a school’s location also are allowed. The district’s policy for renaming a school requires several steps. The initial request must be made through a petition signed by at least 100 employees, students and parents or guardians from the involved school. Other steps include the creation of a school committee to research possible names and gather feedback. The committee then must make a recommendation to the superintendent, who in turn makes a recommendation to trustees. 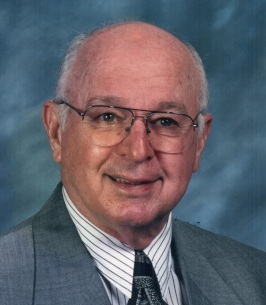 Don Burkett, age 84, faithful follower of Jesus Christ, loving husband and father, and friend to so many, went home to be with his Lord on April 20, 2019.